In late 2011, the International Wildlife Management Symposium met near Vancouver, British Columbia, and was attended by wildlife biologists and hunters from multiple countries. 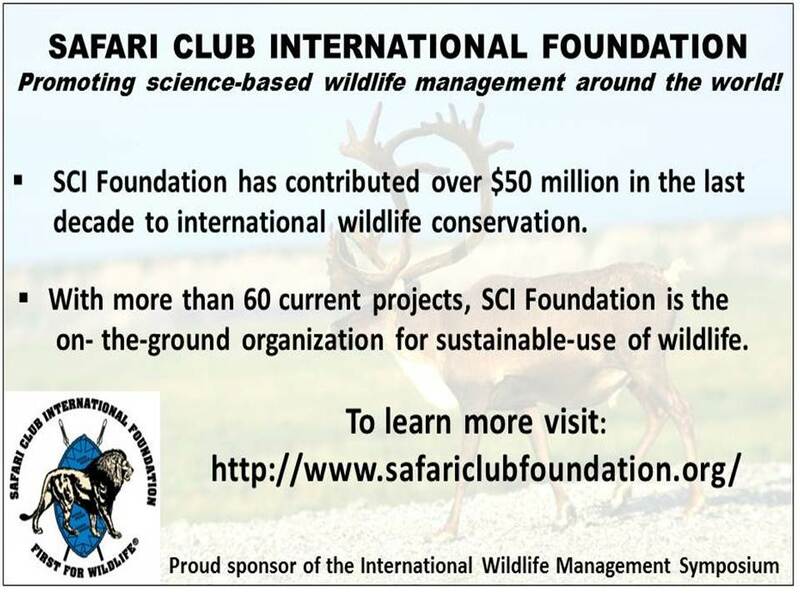 Safari Club International Foundation (SCIF) was a sponsor of the meeting, supporting its theme; Managing Wildlife in the Next Century. SCI member Shane Mahoney gave a riveting keynote address entitled, Why Conservation Matters, driving many points home to the audience, including the challenge that each of us should be able to articulate why conservation matters. Can you? Conference attendees heard from around two dozen renowned speakers on an array of topics, including economics, animal damage management, public acceptance of hunting, grizzly bear population modeling, polar bear management, sustainable-use of caribou, and predator-prey interactions. The North American Model of Wildlife Conservation was an important topic of discussion, covering its appropriateness for different regions of the world, as well as upcoming and current challenges to the Model. Ron Thomson (Safari Club International’s 1992 Conservation Award recipient) spoke about elephant management with a particular emphasis on elephant overpopulation in southern Africa and the ecological damage even well-intentioned mismanagement can cause. The need to identify alternative funding sources for wildlife management, and increase current revenues through hunter recruitment and retention was also discussed. However, the challenges of providing sound science for decision-makers to support sustainable-use of natural resources, while combatting inaccurate claims by animal rights activists was an over-arching theme in many of these presentations. This event provided excellent exposure for SCIF, as well as direct contact with the professional wildlife management community. Along with the other event sponsors, SCIF was recognized in the symposium agenda booklet and on table centerpieces. SCIF was also thanked by the Guides Outfitters of British Columbia (GOABC) who hosted the event and by the speakers in more than one presentation. As part of the symposium sponsorship, SCIF also displayed a booth which was the largest and most-visited at the conference. During informal side meetings with attendees, SCIF staff began dialogue about potential hunt donations for auction to generate funds for more on-the-ground wildlife conservation projects. SCIF staff also sought input on ways that the SCIF Conservation Grants Program can enhance research and management of large mammal species important to subsistence hunters and the public at large. SCIF participation in symposiums and other conferences provides an opportunity to highlight the world-class projects supported by the SCIF Conservation Committee within the professional wildlife management community. By networking with colleagues, SCIF biologists can also promote awareness of SCIF, and seek feedback to improve the scope and effectiveness of the SCIF Conservation Grants program. Addressing real world management issues is one of the best things about SCIF’s Conservation Grants Program. 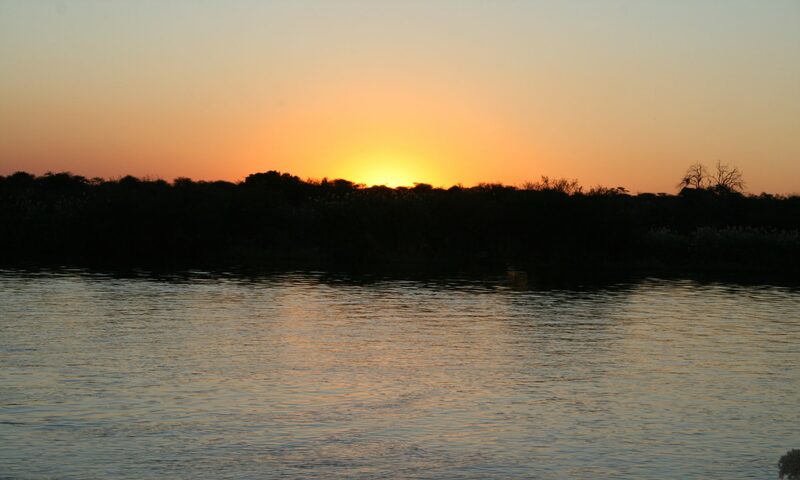 Our program bridges the gap between research and management, whereas other conservation groups often place too much emphasis on purely academic exercises that fail to provide useful information. Conversations between SCIF Staff and meeting attendees begun in British Columbia have continued, and multiple grant applications for proposals closely aligned with the SCIF mission are expected in this funding cycle. As interactions like these within the professional community occur, the news will spread about the strong science being funded by SCIF, and the international standing of the organization as a global force for wildlife conservation will similarly increase.